A product traceability solution gives you an expanded overview of relevant internal data which you can use to inform business decisions and streamline the manufacturing process. Quality management and internal process control are commonplace. Information gathered from your facility allows you to analyse and report on the way your processes are working, but the data gathered stops at the door. To really see the whole picture, you need to make sure your quality control management includes a way to trace products from the source and beyond, through wholesaler and retailer, all the way to the customer. This gives you a broader view of how your internal processes affect the life and journey of your products. Though it may seem complex, a complete traceability and quality control solution from VisionID need not impact process efficiency or burden your workers with additional duties. How can I ensure traceability and quality control? Auto-ID technology and automation from VisionID form part of a complete traceability and quality control solution. End-to-end traceability involves full identification tagging of each product with individual data, which can then be communicated to a comprehensive database, either upon request, or automatically. As the materials and components are used in production, a traceability control system allows for date and time records to be collected, and product information to be attached to the transaction records. If it benefits the transparency of your company to do so, you may wish to attach operator and equipment details to each product or part, as well as environmental conditions, test results, and measurements. In the event of a product recall, for example, being able to utilise an end-to-end traceability method is crucial. Not only can you reassure retailers that their customers will be safe but you also minimise the backlash aimed at your company thanks to careful product trace and track. Having this type of information on hand means you can be totally transparent with those either side of you in the supply chain, and your internal processes are geared towards fitting seamlessly into the bigger picture. Manufacturers are under constant pressure to hit QM targets and operate efficient ‘just-in-time’ (JIT) systems. Implementing automatic technology into the production process means they don’t need to worry about human errors made manual data entry, or even lapses in concentration leading to inventory or SOP inaccuracies. Machine Vision Systems from VisionID capture and analyse images of products along the production line. In a world where customers are ruthless about miniscule defects, it’s vital to spot problems in products before they can erroneously be distributed and potentially lower the value of the batch. Your MES systems can be upgraded by installing the Cognex In-Sight 7800, for example; a vision camera with built-in LED diffusing capabilities which minimises the need for external lighting, and a variety of adjustable parameters to suit your SOP needs. This solution speeds up the QM process by syncing with existing software to inform your employees of any defects in the produce. VisionID supplies full traceability and quality control systems, with a focus on Radio Frequency Identification (RFID) tagging technology and software integration. Regardless of whether you need passive or active tagging, fixed or handheld readers and scanners, or integrated RFID and linear barcode systems, VisionID can provide you with a bespoke solution. How does RFID work in traceability and quality control? RFID tagging works by choosing either active or passive tags to attach to your products, materials, or parts. Each tag contains information unique to the item and can either communicate actively (using a transmitter to send information to a reader) or passively (responding with information when prompted by an RFID reader). A traceability and product control system with integrated RFID technology would mean installing auto-ID readers, thus minimizing the need for contact on the production line. VisionID’s AN400 RFID Antenna from Zebra offers new levels of operational efficiency in large areas. 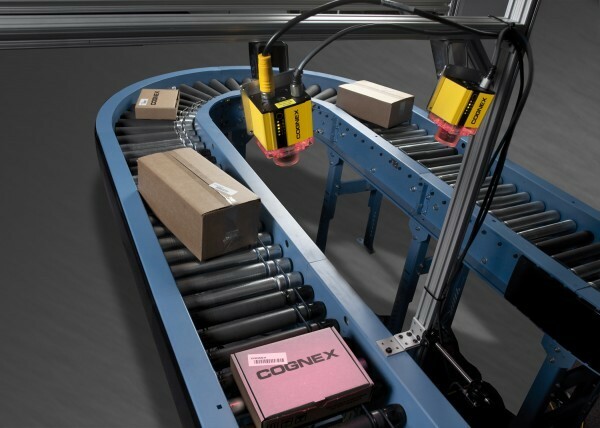 Its slim design makes attaching it above doors or pallet conveyors a simple task, with impressive results – it features quick passive tag reading and can be connected using an ethernet or WLAN connection to your data retrieval and product tracking software. Additionally, integrating quality control management software into your manufacturing process will bring you several advantages. Using a high-capacity system will mean you can calculate statistical data at a glance and manage control limits within your facility. Integrated quality control management software will also be able to document test results, as well as manage test plans – for full traceability and transparency assurance, this data can be attached to individual products with tags. The main advantage of implementing end-to-end traceability is that documentation on any and all products is available instantly. This means that in the realm of compliance, you can provide accurate and real-time proof to inspectors who may dispute the status of your production line. With VisionID, traceability and quality assurance become its own kind of insurance – though you may never need to use it in such detail, should a situation arise, your suppliers, wholesale and retailers, and customers will be better off knowing you have such a holistic understanding of the supply chain. Technology is developing at an incredible rate and this is why your systems need to be growth-oriented: older quality control systems will not be capable of expanding to include modern technologies such as WLAN installations, and integrated handheld computer systems. Get in touch with a VisionID expert today and find out how we could help your company expand its current traceability and quality control management systems. We’ll conduct an audit on your existing hardware, software, and systems, before recommending improvements and upgrades.